May the Blessings of the Noble Triple Gem be with you! It is with great pleasure Florida Buddhist Vihara announce and invites you all to the “Vesak Ceremony-2562, (2018)” where we celebrate the Birth, Supreme Enlightenment, and Parinibbana” of our Omniscient Samma Sambuddha, Sri Siddhartha Gauthama”. This Vesak Full Moon will mark the 2562nd year from the day of Parinibbana of the ever greatest teacher who guided the Divine and Humans to the absolute and ultimate freedom. 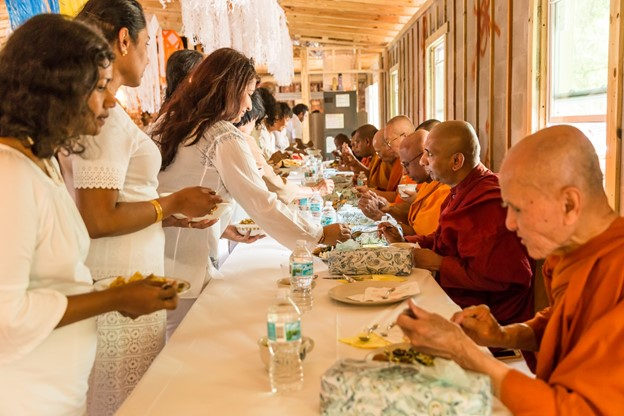 The annual celebration of Vesak festival at the Florida Buddhist Vihara will be held this year on May 12th, 2018 throughout the day at the Viahara premises. There will be many events of Dana, Sheela, and Bhavana for all of you to participate in many ways and accumulate merits. In keeping our tradition, during this Vesak Ceremony also, we will conduct special “Aloka Puja” by making Vesak lanterns and offering those to our Supreme Sambuddha in respecting His Supreme and Infinite Wisdom. The ceremony will begin at 9.30a.m. and end at 9.30 p.m. Complete Program Schedule of the program is as follows. Further details and relevant information will be sent to you again as needed. Please read through the details in this email and participate accordingly. If you would like to offer a dana item(s) to the Monks on this day, please see the attached Google list and sign up for the item/s. 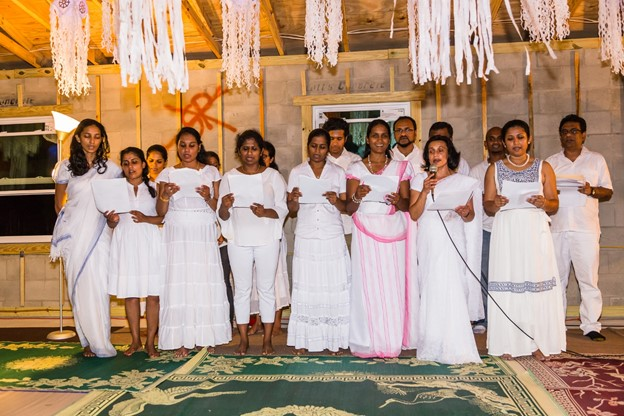 Salpila will be conducted by the students, teachers, and parents of the Dhamma School. 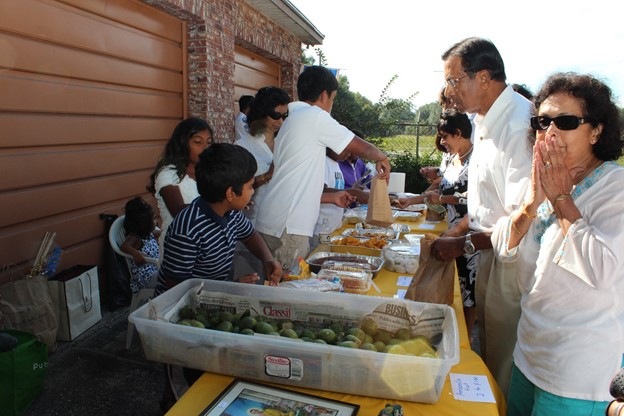 You are encouraged to bring items such as plants, fresh vegetables, sweetmeats, and short-eats to sell at the Salpila. Please note, that the scheduled time for the Salpila is changed in this year to 10.00a.m.-12.00p.m. So plan accordingly. All proceeds from Salpila will go toward the Construction Fund at the Florida Buddhist Vihara. Please bring cash/checks for the purchases. Please sign up for donations using the link below. 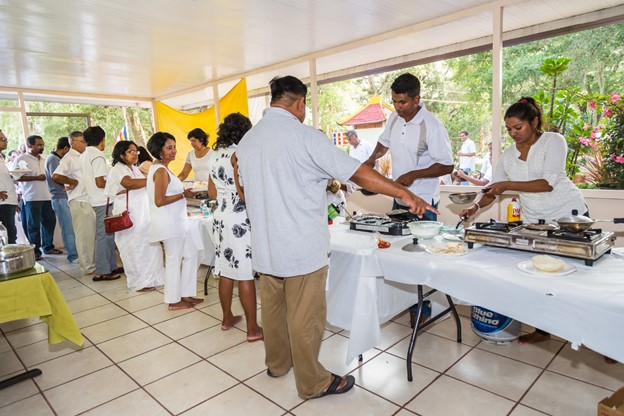 Devotees of the temple will organize the evening Sri Lankan food stall this year as well. You may purchase your dinner from the stall prior to evening activities. Food stall will be open from 04.30pm till 06.00 pm. Please bring cash for purchasing food. All proceeds will be donated to FBV construction fund. 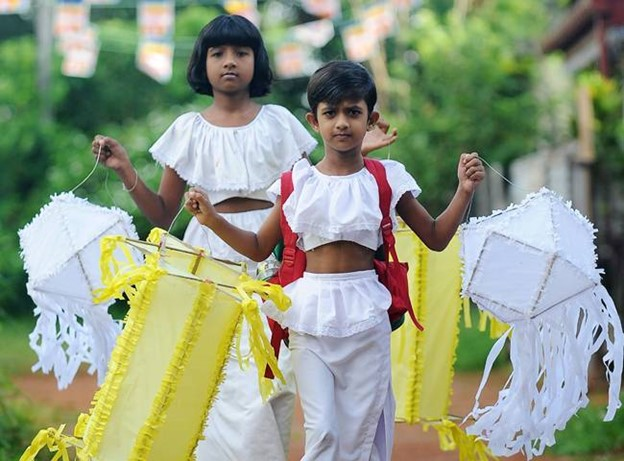 Children are invited to participate in illumination of Wesak lanterns. Parents, please encourage children by making Wesak lanterns (kudu) together with your child and bringing the finished lantern/s to the temple on Wesak day. We expect at least one lantern from one child in each family. Each Bhakthi gee will be introduced by a Child from the three Dhamma Schools. 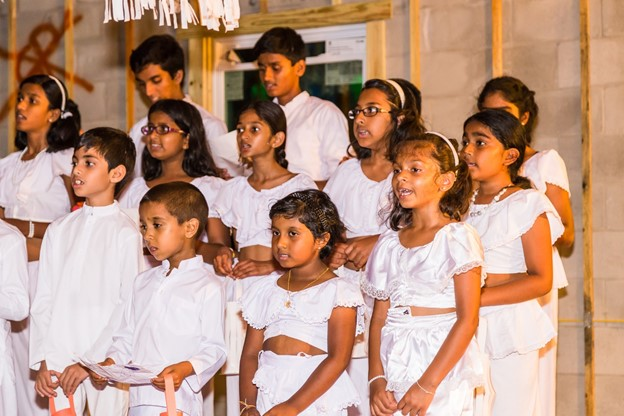 The first song will be introduced by a child from the Southeast Florida Dhamma School (West Palm Beach), the second song will be introduced by a child from the Jacksonville Dhamma School and the third song will be introduced by a child from the Tampa Dhamma School. Fourth song will be introduced by a child from the Orlando Dhamma School. Schools will participate in this event. (02) All participants should be well rehearsed. (lama sari), long sleeved (national) shirt and white sarong. Those who wish to participate in this event have to be dressed all in white (white sari/white long skirt and blouse/white long pants and white shirt). If you are not meeting this dress code please try to refrain from taking part in the event. While we fully realize you lead busy lives with many responsibilities we hope to see you and your children at this important religious/cultural event. If you have questions/comments, you may reach the temple at 813-621-1337 or 813-313-978 4 (cell number). Essential things for the temple. Please check the link below. With Blessings of the Triple Gem!